A native New Yorker, of Puerto Rican descent, Nelson has been a DJ for over 20 years. While he is knowledgeable in various musical genres , it is his skill of programming salsa that has earned him international recognition as a DJ. Nelson is grateful to have had the pleasure of DJing for dancers across the US, Canada, Europe, and Asia. In New York City he has worked at some of the most popular nightclubs as well as the live radio broadcast on Mega 97.9 FM from the Copacabana. 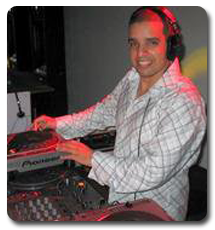 In addition to being the Official DJ of the New York Salsa Congress from 2001 to 2008, Nelson has been featured at the Salsa Congresses of Miami, Texas, Hawaii, Japan, Canada, Philippines, Bermuda, and Singapore. For a listing of clubs and other appearances check out the resume page. Nelson is also available for private parties, weddings, and corporate functions which are not necessarily Salsa oriented.